Henry Thomas Nicholson was born on 2 March 1873 at Wisconsin. He was the son of Wesley Nicholson and Harriet Vanamburg. Henry Thomas Nicholson married Flossie Richards, daughter of Richard Richards and Luella Tindell, on 14 March 1898 at Grant, Wisconsin. Henry Thomas Nicholson died on 18 July 1953 at Grant, Wisconsin, at age 80. 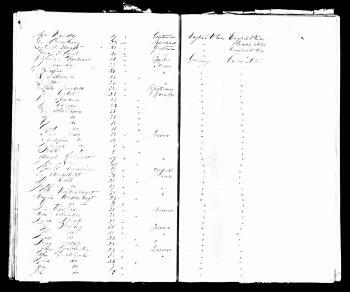 [S246] U.S. Federal Census 1880 U.S. Federal Census, by Ancestry.com, Year: 1880; Census Place: Clayton, Crawford, Wisconsin; Roll: 1420; Family History Film: 1255420; Page: 23A; Enumeration District: 042; . [S245] U.S. Federal Census 1900 U.S. Federal Census, by Ancestry.com, Year: 1900; Census Place: Clayton, Crawford, Wisconsin; Roll: T623_1782; Page: 15B; Enumeration District: 11. Married Name Her married name was Burrows. Lella Nicholson married (?) Burrows. Lella Nicholson was born on 3 November 1903. She was the daughter of Henry Thomas Nicholson and Flossie Richards. (?) Burrows married Lella Nicholson, daughter of Henry Thomas Nicholson and Flossie Richards. Married Name Her married name was Reisen. Stella Nicholson married (?) Reisen. Stella Nicholson was born on 20 September 1901. (?) Reisen married Stella Nicholson, daughter of Henry Thomas Nicholson and Flossie Richards. Gerald Nicholson was born on 30 December 1899 at Wisconsin. He was the son of Henry Thomas Nicholson and Flossie Richards. Addison Nicholson was born on 17 March 1906. Kenneth Nicholson was born on 2 December 1912. Wesley Nicholson was born circa 1848 at Indiana. He married Harriet Vanamburg on 12 September 1867 at Crawford, Wisconsin. Edward Delos Nicholson was born on 14 May 1868 at Wisconsin. Edward Delos Nicholson married Alice E. Torey in 1889. Edward Delos Nicholson and Alice E. Torey were divorced before 1910. Edward Delos Nicholson died on 18 September 1942 at Wisconsin at age 74. [S244] U.S. Federal Census 1910 U.S. Federal Census, by Ancestry.com, Year: 1910; Census Place: Charles Ward 4, Floyd, Iowa; Roll: T624_402; Page: 11B; Enumeration District: 0106; Image: 1275; FHL Number: 1374415. Married Name 1889 As of 1889,her married name was Nicholson. Alice E. Torey was born circa 1873 at Wisconsin. She married Edward Delos Nicholson, son of Wesley Nicholson and Harriet Vanamburg, in 1889. Alice E. Torey and Edward Delos Nicholson were divorced before 1910. Married Name 12 September 1867 As of 12 September 1867,her married name was Nicholson. Harriet Vanamburg was born circa 1851 at Indiana. She married Wesley Nicholson on 12 September 1867 at Crawford, Wisconsin. Name Variation William Nicholson was also known as Arthur Williamson. William Nicholson was born on 20 December 1876 at Wisconsin. William Nicholson died on 13 December 1896 at Wisconsin at age 19. Name Variation John Wesley Nicholson was also known as Wesley. John Wesley Nicholson was born on 3 January 1879 at Wisconsin. John Wesley Nicholson married Laura Richard, daughter of Richard Richards and Luella Tindell, circa 1898. John Wesley Nicholson died on 14 July 1959 at Wisconsin at age 80. Wilbert Robert Reed was born on 12 March 1925 at Grant, Wisconsin. He died on 24 January 2002 at Dubuque, Iowa, at age 76 Wilbert R. "Stub" Reed, 76, of Lancaster, died Thursday, Jan. 24, 2002, at Mercy Medical Center-Dubuque. Services will be at noon Saturday at Martin Page Funeral Home, Lancaster, with the Rev. Lynn Church officiating. Burial will be in Hillside Cemetery, Lancaster, where military rites will be accorded. Friends may call after 9 a.m. Saturday at the funeral home. Mr. Reed farmed for many years, also working at the Potosi Brewery, Finney Wehrenberg Implement of Lancaster, and Ioco Oil of Potosi. He also worked at John Deere and Co., retiring on July 31, 1985. He was born on March 12, 1925, in Waterloo Township, son of Anthony and Clara (Sparks) Reed. …. Name Variation Heinrich Helbing was also known as H.
Heinrich Helbing was born circa 1802 at Prussia. He died after June 1857. Wilfred A. Helbing was born on 4 April 1923. He was the son of John Christ Helbing and Anna M. Hinderman. Wilfred A. Helbing died on 23 December 1923. He was buried after 23 December 1923 at Holy Ghost Cemetery, Dickeyville, Grant, Wisconsin. Name Variation Malinda M. Helbing was also known as Belinda. Malinda M. Helbing was born on 11 February 1917. She was the daughter of Elmer John Helbing and Anna M. Roth. Malinda M. Helbing died on 9 August 1919 at Dickeyville, Grant, Wisconsin, at age 2 reported as at 15 months; from tragic accident. She was buried after 9 August 1919 at Holy Ghost Cemetery, Dickeyville, Grant, Wisconsin. Married Name 27 June 1899 As of 27 June 1899,her married name was Helbing. Clara Wagner was born on 14 November 1878 at Grant, Wisconsin. She was the daughter of Bernhard Wagner and Magdalena (?). Clara Wagner married Henry Helbing, son of John H. Helbing and Catharine Kaiser, on 27 June 1899 at Grant, Wisconsin. Clara Wagner died on 17 February 1900 at Paris, Grant, Wisconsin, at age 21. She was buried after 17 February 1900 at Holy Ghost Cemetery, Dickeyville, Grant, Wisconsin. Clara Wagner had zero children. Ronald H. Helbing was born in 1938. He was the son of Andrew Joseph Helbing and Elsie Florence McPhail. Ronald H. Helbing died on 13 April 1967 Ronald Helbing obituary. He was buried after 13 April 1967 at Holy Ghost Cemetery, Dickeyville, Grant, Wisconsin. Married Name circa June 1935 As of circa June 1935,her married name was Helbing. Married Name between 1953 and 1975 As of between 1953 and 1975,her married name was Hill. Elsie Florence McPhail was born on 13 March 1910 at Grant, Wisconsin. She married Andrew Joseph Helbing, son of Henry Helbing and Caroline Bode, circa June 1935. Elsie Florence McPhail married LaVern Hill between 1953 and 1975. Elsie Florence McPhail died on 22 May 1979 at Dubuque, Iowa, at age 69. Married Name 14 June 1932 As of 14 June 1932,her married name was Helbing. Mildred M. Wilke was born on 21 December 1911 at Smelser, Grant, Wisconsin. She was the daughter of Henry Garrett Wilke and Cecilia Elizabeth Folmer. 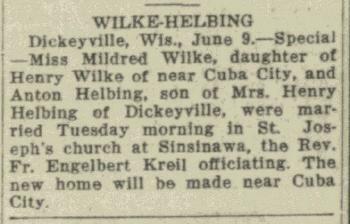 Mildred M. Wilke married Anton E. Helbing, son of Henry Helbing and Caroline Bode, on 14 June 1932 at Sinsinawa, Wisconsin, Mildred Wilke and Henry Helbing marriage announcement. Mildred M. Wilke died on 27 February 1996 at age 84 KIELER, Wis. - Services for Mildred M. Helbing , 84, of Kieler, will be at 10:30 a.m. Friday, March 1, at St. Rose of Lima Catholic Church, Cuba City. The Rev. Richard Jiru, the Rev. Philip Krogman and the Rev. James Gunn will officiate. Burial will be in the church cemetery. Friends may call from 3 to 8 p.m. today at Casey Funeral Home, Cuba City, where there will be a parish wake service at 5 p.m.
Mrs. Helbing and her husband farmed at Happy Corners until they retired in 1972. She was born on Dec. 21, 1911, in Smelser Township of Grant County, daughter of Henry G. and Cecilia (Folmer) Wilke. She died Tuesday afternoon, Feb. 27, 1996, at The Finley Hospital, Dubuque. She married Anton Helbing on June 14, 1932, at St. Joseph's Catholic Church, Sinsinawa. She was a past deanery president of the National Council of Catholic Women and was a longtime member of St. Rose and Immaculate Conception Altar and Rosary Society. 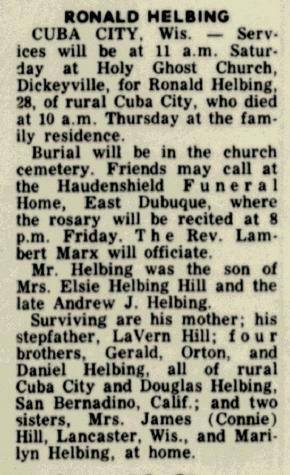 Surviving are her husband, Anton Helbing ; four sons, Robert (Mary Kay) Helbing , of Hazel Green, Wis., John (Helen) Helbing , of San Juan Capistrano, Calif., Herbert (Carol) Helbing , of Dickeyville, and Orlin (Judy) Helbing , of Janesville; a daughter, Mary (Alan) Klein, of Platteville; 18 grandchildren and eight great-grandchildren; and a sister, Felicia Henderson, of Alhambra, Calif.
She was preceded in death by a son, Wayne, on July 15, 1970; two brothers, Lawrence and Gerald; and a sister, Marcella. [S243] U.S. Federal Census 1920 U.S. Federal Census, by Ancestry.com, Year: 1920; Census Place: Smelser, Grant, Wisconsin; Roll: T625_1988; Page: 1A; Enumeration District: 124; Image: 451. [S250] U.S. Federal Census 1930 U.S. Federal Census, by Ancestry.com, Year: 1930; Census Place: Smelser, Grant, Wisconsin; Roll: 2574; Page: 1B; Enumeration District: 51; Image: 750.0. Name Variation Henry Garrett Wilke was also known as Garrett Henry. Henry Garrett Wilke was born on 18 January 1879 at Wisconsin. He married Cecilia Elizabeth Folmer circa 1905. Henry Garrett Wilke died in March 1959 at Alhambra, California, at age 80. [S244] U.S. Federal Census 1910 U.S. Federal Census, by Ancestry.com, Year: 1910; Census Place: Smelser, Grant, Wisconsin; Roll: T624_1711; Page: 5A; Enumeration District: 0044; Image: 528; FHL Number: 1375724. Married Name Her married name was Henderson. Felicia C. Wilke was born circa 1918 at Wisconsin. Wayne H. Helbing was born on 10 September 1933 at Wisconsin. He was the son of Anton E. Helbing and Mildred M. Wilke. Wayne H. Helbing married Jane Ann Kilkelly on 17 April 1953 Jane Ann Kilkelly and Wayne Helbing engagement announcement. 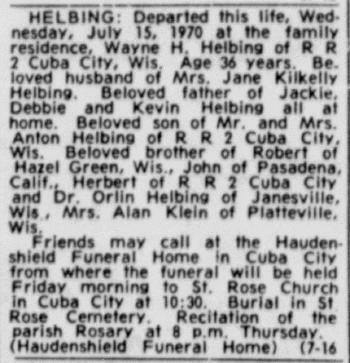 Wayne H. Helbing died on 15 July 1970 at at home, Cuba City, Grant, Wisconsin, at age 36 Wayne H Helbing obituary. In November 1970 at Cuba City, Grant, Wisconsin, Wayne H Helbing estate sale. Eldon G. Burdt was born circa 1911 at Iowa. He married Anna Helbing, daughter of Henry Helbing and Caroline Bode, in 1935. Eldon G. Burdt died after 1975. Name Variation Susan C. Klaas was also known as Susanna. Married Name 29 November 1929 As of 29 November 1929,her married name was Helbing. Susan C. Klaas was born on 14 September 1909 at Grant, Wisconsin. She was the daughter of Herman John Klaas and Mary Magdalena Alt. Susan C. Klaas married John Bernard Helbing, son of Henry Helbing and Caroline Bode, on 29 November 1929 at Grant, Wisconsin, Susan Klaas and John Helbing marriage announcement. Susan C. Klaas died on 9 April 1986 at Illinois at age 76. She was buried after 9 April 1986 at East Dubuque Cemetery, Dunleith Township, Jo Daviess, Illinois. [S243] U.S. Federal Census 1920 U.S. Federal Census, by Ancestry.com, Year: 1920;Census Place: Jamestown, Grant, Wisconsin; Roll: T625_1988; Page: 10B; Enumeration District: 106; Image: 41. Name Variation Merlin E. Helbing was also known as Merks. Merlin E. Helbing was born on 14 March 1929 at Cuba City, Grant, Wisconsin. Merlin E. Helbing married Bernadine M. Ertz on 8 July 1952. Merlin E. Helbing was the best man at the wedding of Charlotte Elnore Kringle and William Anton Helbing on 29 September 1956 at Key West, Iowa; William A Helbing and Charlotte Elnore Kringle marriage announcement. 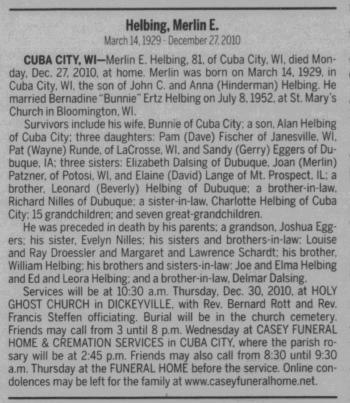 Merlin E. Helbing died on 27 December 2010 at Cuba City, Grant, Wisconsin, at age 81 Merlin E. Helbing, 81, of Cuba City, WI, died Monday, Dec. 27, 2010, at home. 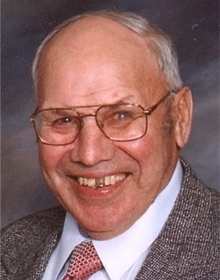 Merlin was born on March 14, 1929, in Cuba City, WI, the son of John C. and Anna (Hinderman) Helbing. He married Bernadine “Bunnie” Ertz Helbing on July 8, 1952, at St. Mary’s Church in Bloomington, WI. Survivors include his wife, Bunnie of Cuba City; a son, Alan Helbing of Cuba City; three daughters: Pam (Dave) Fischer of Janesville, WI, Pat (Wayne) Runde, of LaCrosse, WI, and Sandy (Gerry) Eggers of Dubuque, IA; three sisters: Elizabeth Dalsing of Dubuque, Joan (Merlin) Patzner, of Potosi, WI, and Elaine (David) Lange of Mt. 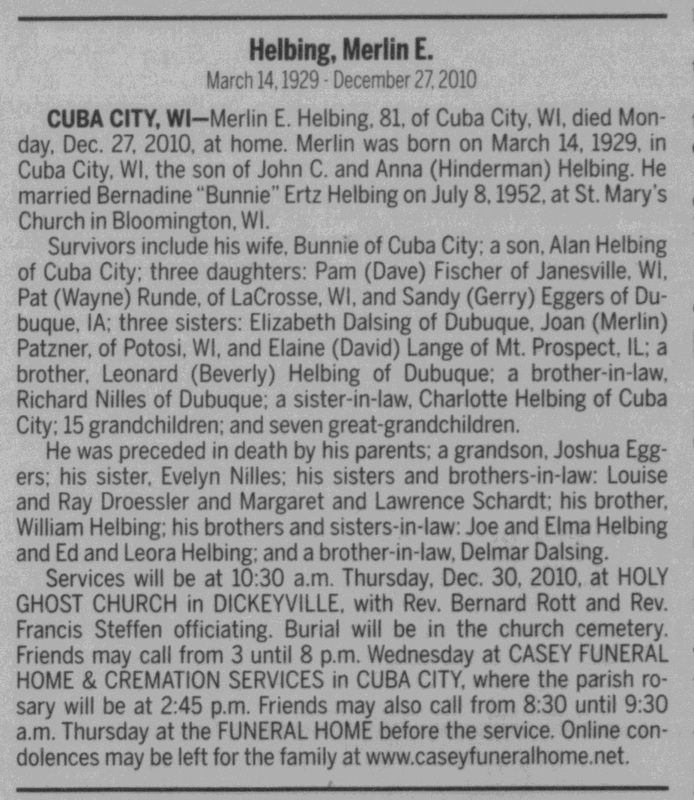 Prospect, IL; a brother, Leonard (Beverly) Helbing of Dubuque; a brother-in-law, Richard Nilles of Dubuque; a sister-in-law, Charlotte Helbing of Cuba City; 15 grandchildren; and seven great-grandchildren. He was preceded in death by his parents; a grandson, Joshua Eggers; his sister, Evelyn Nilles; his sisters and brothers-in-law: Louise and Ray Droessler and Margaret and Lawrence Schardt; his brother, William Helbing; his brothers and sisters-in-law: Joe and Elma Helbing and Ed and Leora Helbing; and a brother-in-law, Delmar Dalsing. Services will be at 10:30 a.m. Thursday, Dec. 30, 2010, at HOLY GHOST CHURCH in DICKEYVILLE, with Rev. Bernard Rott and Rev. Francis Steffen officiating. Burial will be in the church cemetery. Friends may call from 3 until 8 p.m. Wednesday at CASEY FUNERAL HOME & CREMATION SERVICES in CUBA CITY, where the parish rosary will be at 2:45 p.m. Friends may also call from 8:30 until 9:30 a.m. Thursday at the FUNERAL HOME before the service. He was buried after 27 December 2010 at Holy Ghost Cemetery, Dickeyville, Grant, Wisconsin. [S250] U.S. Federal Census 1930 U.S. Federal Census, by Ancestry.com, Year: 1930; Census Place: Hazel Green, Grant, Wisconsin; Roll: 2574; Page: 1A; Enumeration District: 18; Image: 282.0. Name Variation Bernadine M. Ertz was also known as Bunny. Name Variation Bernadine M. Ertz was also known as Bunnie. Married Name 8 July 1952 As of 8 July 1952,her married name was Helbing. Bernadine M. Ertz married Merlin E. Helbing, son of John Christ Helbing and Anna M. Hinderman, on 8 July 1952. Married Name Her married name was Dalsing. 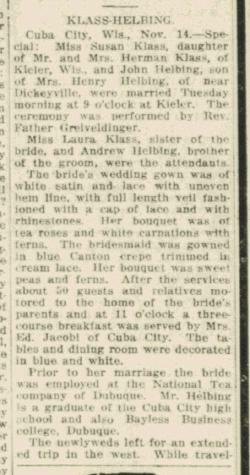 Elizabeth A. Helbing married Delmar Dalsing, son of Andrew Edward Dalsing and Louisa Mary Franzen. Elizabeth A. Helbing was born on 14 August 1921 at Wisconsin. She was the daughter of John Christ Helbing and Anna M. Hinderman. Elizabeth A. Helbing was a bridesmaid at the wedding of Richard Nilles and Evelyn M. Helbing on 25 November 1941 at Dickeyville, Grant, Wisconsin; Evelyn Helbing and Richard Nilles marriage announcement. Elizabeth A. Helbing died on 23 February 2015 at Dubuque, Dubuque, Iowa, at age 93 Elizabeth A. Dalsing, 93, of Dubuque, passed away Monday, February 23, 2015 at Heritage Manor. A funeral mass will be held on Friday, February 27, 2015 at 10:00 a.m. at St. Anthony's Catholic Church with Rev. Steven Rosonke officiating. Private burial will take place in Mt. Olivet Cemetery. Friends may call from 8:45 a.m. to 10:00 a.m. at the Church. Leonard Funeral Home and Crematory is in charge of arrangements. Elizabeth is survived by 5 children, Linda (Jim) Erpelding, Stephen (Mary) Dalsing, Susan (Dave) Placke, Debbie (Marshall) Grice, and Lisa Dalsing. Eleven Grandchildren, sixteen Great grand children, a brother Leonard (Bev) Helbing, two sisters; Joan (Merlin) Patzner and Elaine (Dave) Lange. She was preceded in death by her husband Delmar Dalsing and daughter Sharon Burd. She was buried after 23 February 2015 at Mount Olivet Cemetery, Key West, Dubuque, Iowa.